Discussion in 'Star Trek: Discovery' started by Succubint, Jul 21, 2018. I haven't seen much discussion of this character/casting, even though she appears in the trailer and publicity photos. The character in the red uniform is apparently named as Lieutenant Nhan. She accompanies Pike when he comes aboard the Discovery and also is part of the landing party in various off ship scenes. She even wears a red EVA suit in publicity stills. There was a casting notice for a recurring character called May, but that character breakdown doesn't appear to fit. So...is this Lt. Nhan going to be just in the first episode or two and killed off early on to show how high the stakes are for the rest of the crew? A bonafide "Red Shirt"? Regardless of her eventual fate, I am intrigued. Argh, stupid mistake in the title. Should be "on our". Can this be fixed, please? Sorry about that. That's pretty weak alien makeup right there. I mean.. is she actually supposed to be an alien? She just looks like a primitive human. Looks like basic cybernetics to me. Wiki tells me Nhan is a (somewhat) common surname across several APAC countries. I think she's wear a headset. The part by her left cheek is a microphone. Also they said red shirt deaths would be a thing since season. There was another alien that appeared in TNG with same thing. I am trying to track it down. As per TNG they were a pre-warp society. Definitely not Federation members, and would not be serving as security on Enterprise. Another retcon? They could just be equipment, and she isn't an alien. Only if one considers that a microphone headset can be of only one type. Yeah. Clearly, the makeup team has a thing for cybernetics/bionic-inspired facial equipment. Then what's with lack of eyebrows? 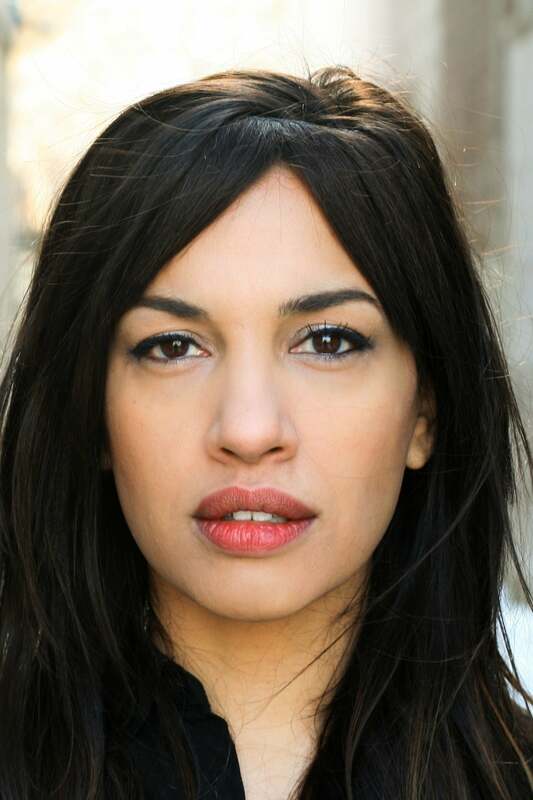 The actress Rachael Ancheril has very clear eyebrows, why shave them if not to make her look alien? What if she is a reconned DELTAN? Mad Jack Wolfe and ITDUDE like this. But the makeup is lazy. The protruding forehead... she just looks like a less evolved homo-sapien. The lack of effort is probably a sign that she will be a background character killed off quite fast. Just how similar to Alara from Orville are they making this character? Humanish looking alien officer with no eyebrows and a red tunic. ITDUDE, BillJ and PhotoBoy like this. At first I didn't think that she was wearing any "creature" makeup at all, because those browridges are within the normal range for a human (i've seen guys with ridges like that - even a few women). But looking at pictures of the actress they clearly built them up somewhat - for what reason I'm not sure. 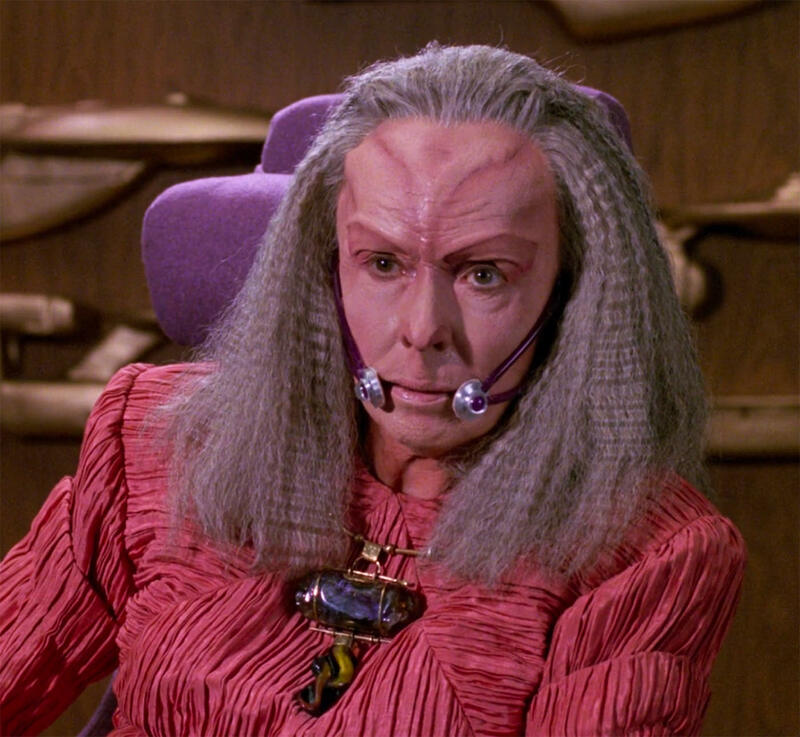 I mean, TOS, early TNG, and even VOY had plenty of races which were 90%-100% human looking, but it doesn't fit in at all with the much more elaborate makeup for the Klingons, Tellarites, and to a lesser extent Andorians. Maybe they're trying to move away from Fuller's (crazy) alien revamps. 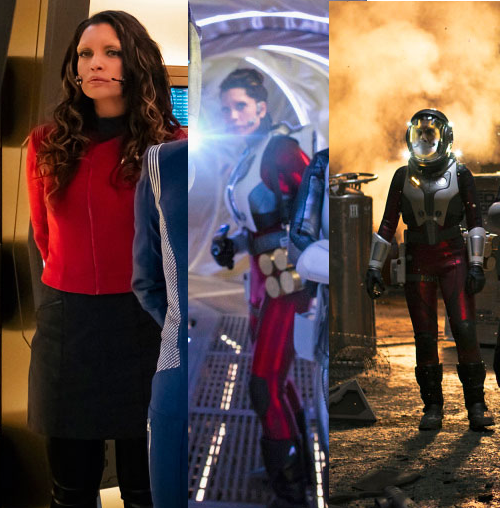 They definitely went to The Orville for inspiration for her. Let's hope she doesn't have super strength. Maybe she's "mostly human" like Daniels.